One of Bourgeois's first jobs was sewing fig leaves over the genitalia depicted in ancient tapestries for her parents' successful tapestry restoration business. Shia LeBeouf, is that you? Louise Bourgeois troubled childhood may have influenced her to become the feminist icon she is today. She loved her mother, but loathed her father who was overbearing, harsh and philandering. She was forever scarred when he pulled an Arnold Schwarzenegger and had a flagrant affair with her nanny. Her parents had a successful tapestry restoration business. One of her first jobs was sewing fig leaves over the genitalia depicted in the ancient tapestries for their more puritan-minded customers. Maybe all that time looking at naughty bits is why she loved to sculpt them as an adult! Her artwork dealt with themes of betrayal, sexuality, vulnerability, and power. Loaded with bodily images, sensual but grotesque, sexually ambiguous. Fragile and fierce. Sexual repression and great sexual promiscuity. One of her installations depicted her father being devoured for dinner. She was petite in size but gruff in voice and manner and had a wonderfully deep French accent. In this well known portrait of her by Robert Mapplethorpe she is caring the sculpture Fillette. She insisted it was not a phallus at all. She said it was her little girl. We think she knows what's up though...I mean how could she not, with that mischievous smile on her face? Louise Joséphine Bourgeois (French: [lwiz buʁʒwa] ( listen); 25 December 1911 – 31 May 2010) was a French-American artist. Although she is best known for her large-scale sculpture and installation art, Bourgeois was also a prolific painter and printmaker. She explored a variety of themes over the course of her long career including domesticity and the family, sexuality and the body, as well as death and the subconscious. These themes connect to events from her childhood which she considered to be a therapeutic process. Although Bourgeois exhibited with the Abstract Expressionists and her work has much in common with Surrealism and Feminist art, she was not formally affiliated with a particular artistic movement. 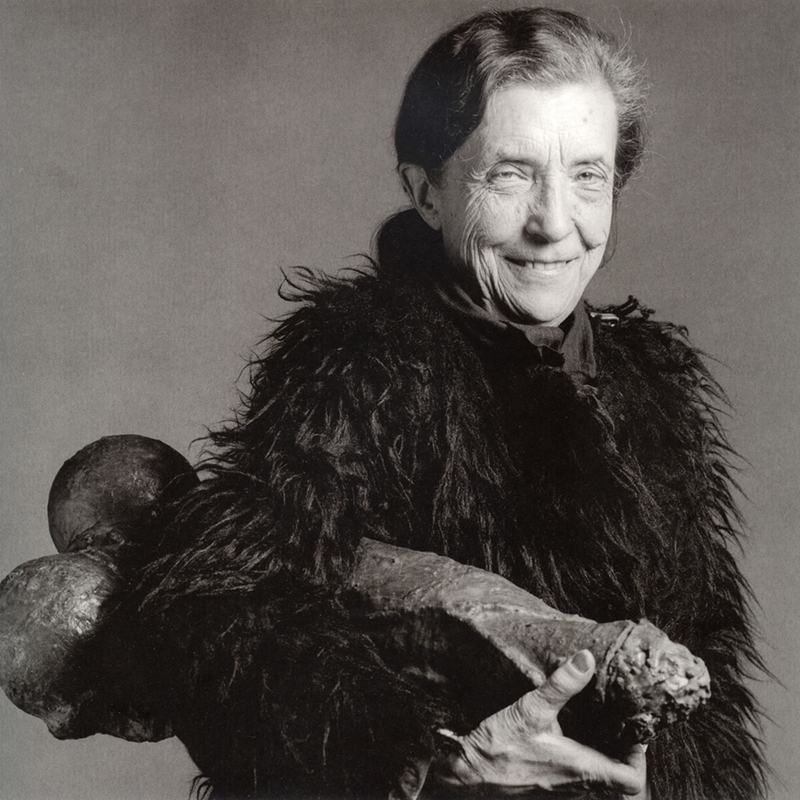 Check out the full Wikipedia article about Louise Bourgeois.